The EMG JH Het Set is the signature humbucker pickup set of James Hetfield, providing the clarity and punch of a passive pickup, with the legendary active tone that has defined the Metallica sound for 30 years. The starting point for the pickups was James' trusted 81/60 set but the end result was a completely different animal. The JH-N neck pickup has individual ceramic poles and bobbins that feature a larger core and are taller than the 60, this produces more attack, higher output and fuller low end in the neck position. 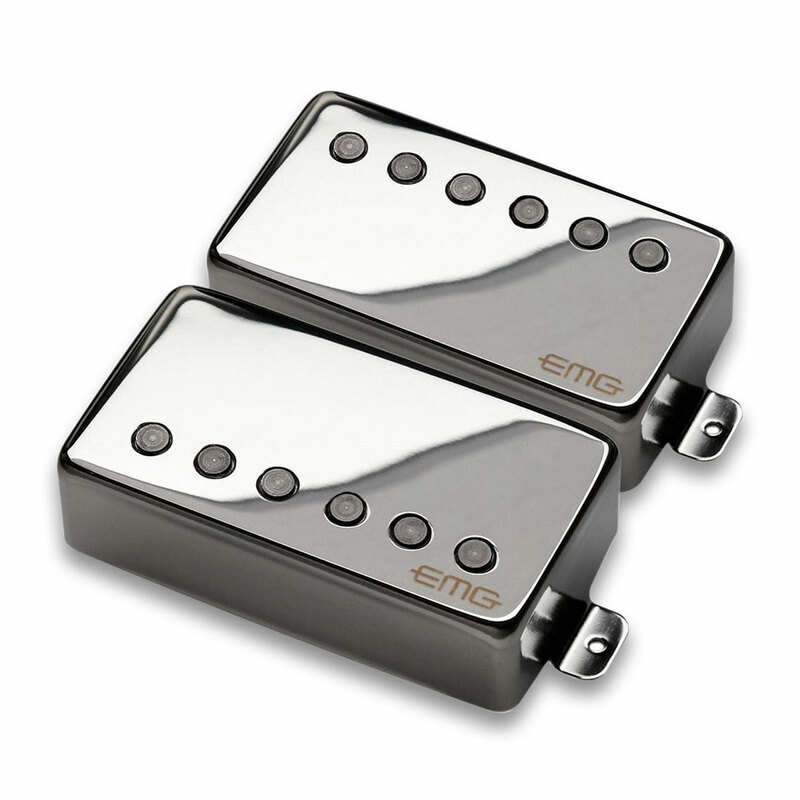 The JH-B bridge pickup uses the same type of core but has steel pole pieces, unlike the 81 that uses bar magnets, this produces the familiar tight attack with less inductance for a cleaner low end. The EMG JH Het set features their solderless system for quick and easy installation, it comes with everything you need including two 25k volume pots and two 25k tone pots, stereo output jack, battery connector and all required connector wires.